When you a stay at Harbor View Hotel in Edgartown, you'll be near the airport, within a 5-minute walk of Lighthouse Beach and Edgartown Lighthouse. This romantic hotel is 0.7 mi (1.1 km) from Edgartown Public Library and 0.9 mi (1.4 km) from Old Whaling Church. Make yourself at home in one of the 114 individually decorated guestrooms, featuring refrigerators and flat-screen televisions. Your pillowtop bed comes with down comforters and premium bedding. Wireless Internet access (surcharge) keeps you connected, and cable programming is available for your entertainment. Private bathrooms with showers feature complimentary toiletries and hair dryers. Be sure to enjoy recreational amenities including a fitness center and a seasonal outdoor pool. This hotel also features wireless Internet access (surcharge), concierge services, and wedding services. Satisfy your appetite for dinner or brunch at the hotel's restaurant, Lighthouse Grill, or stay in and take advantage of the room service (during limited hours). Unwind at the end of the day with a drink at the bar/lounge or the poolside bar. Cooked-to-order breakfasts are available daily from 7 AM to 10:30 AM for a fee. Featured amenities include complimentary newspapers in the lobby, a 24-hour front desk, and luggage storage. 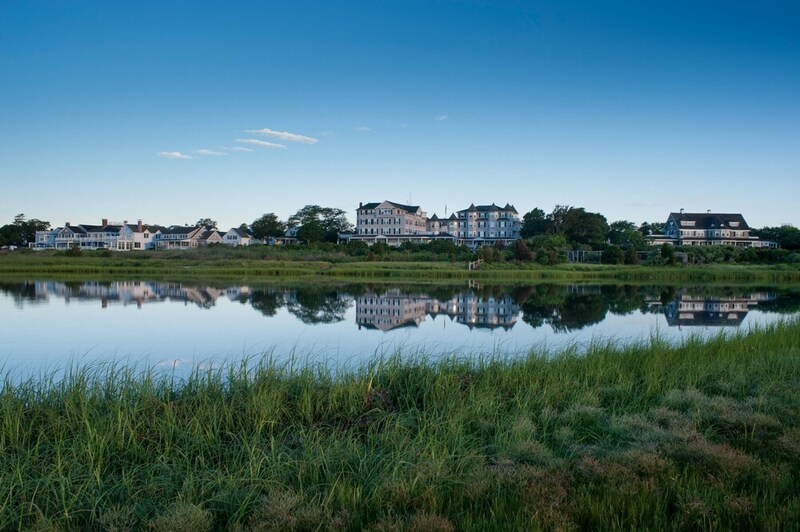 Planning an event in Edgartown? This hotel has facilities measuring 4700 square feet (437 square meters), including conference space. Self parking (subject to charges) is available onsite. This property will be closed from 01 October 2018 to 30 April 2019 for renovations and will resume operation once the renovation is complete (completion date subject to change). Harbor View Hotel features a fitness center and a seasonal outdoor pool. The hotel offers a restaurant. Guests can unwind with a drink at one of the hotel's bars, which include a poolside bar and a bar/lounge. Wireless Internet access is available for a surcharge. Event facilities measuring 4700 square feet (437 square meters) include conference space. This business-friendly hotel also offers tour/ticket assistance, a garden, and concierge services. Onsite parking is available (surcharge). Harbor View Hotel is a smoke-free property. Lighthouse Grill - This restaurant serves breakfast, brunch, and dinner.